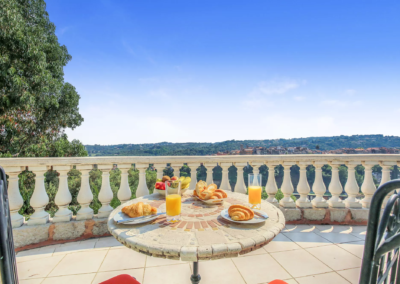 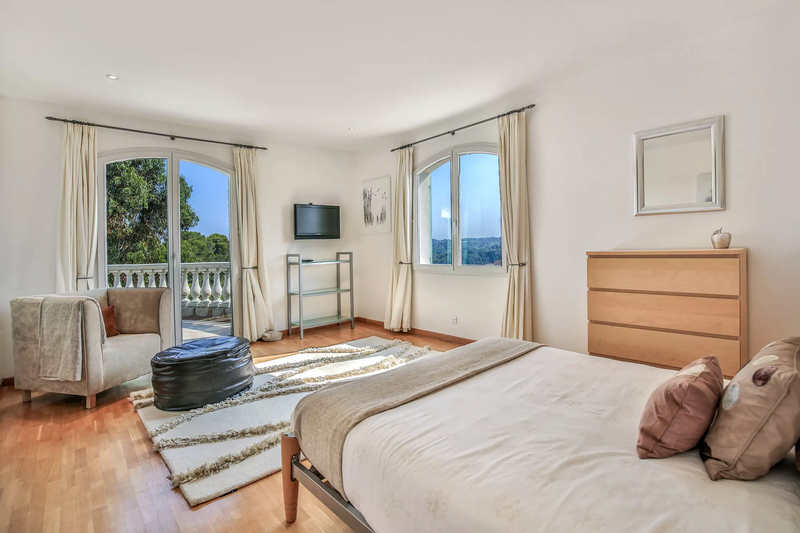 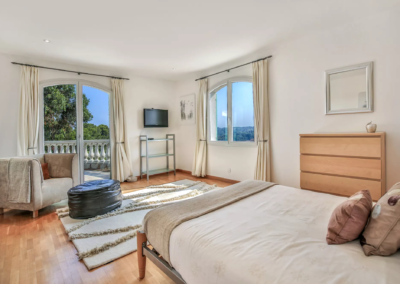 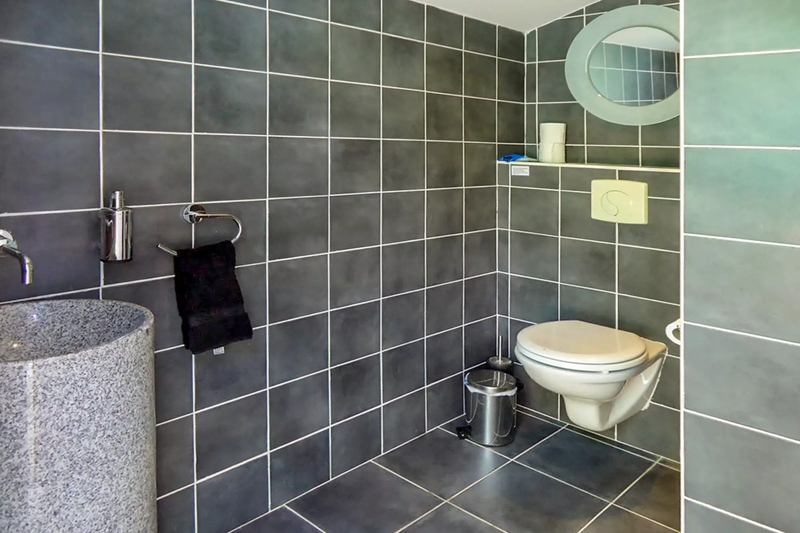 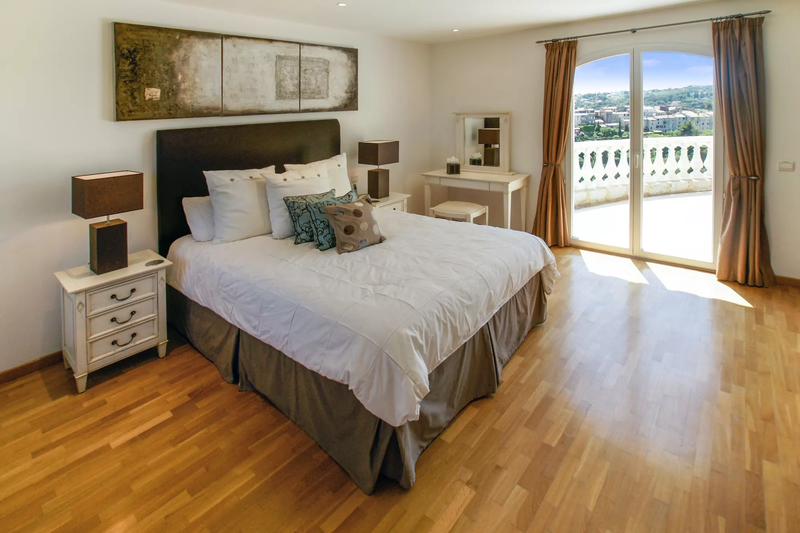 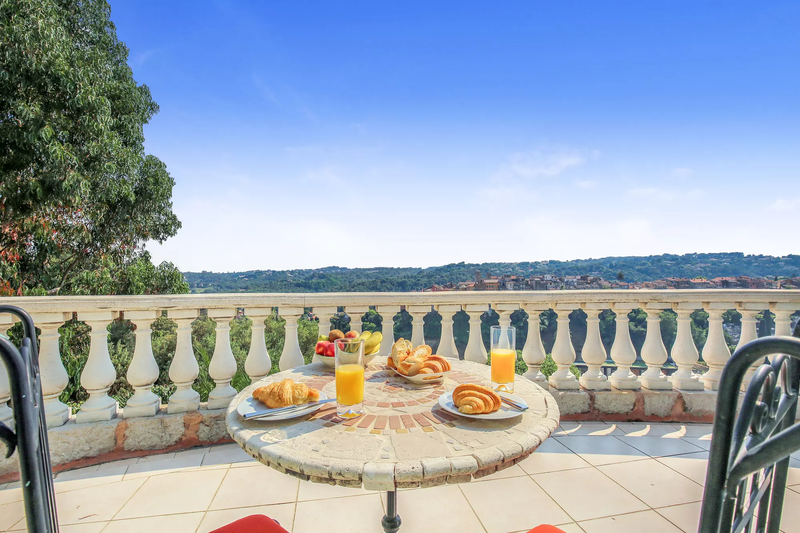 Les Hauts de Biot is a luxury, fully air conditioned, self catering villa in France situated on a hilltop with lovely views of the village of Biot and distant sea. 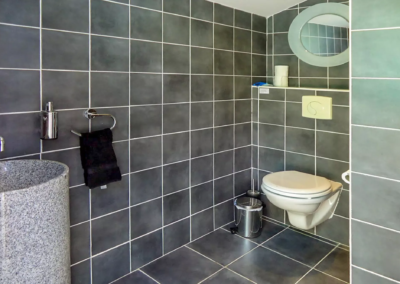 It has been tastefully furnished to a high standard. 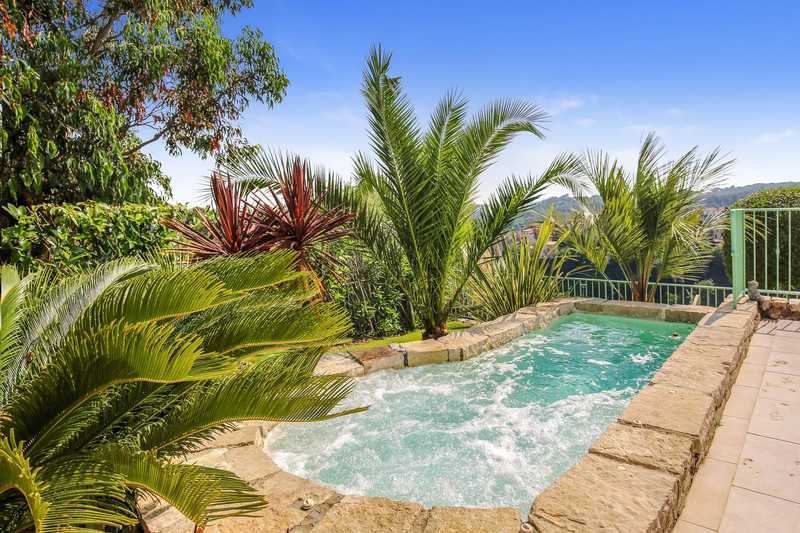 On the sun terrace is a large Jacuzzi positioned to enjoy the views. 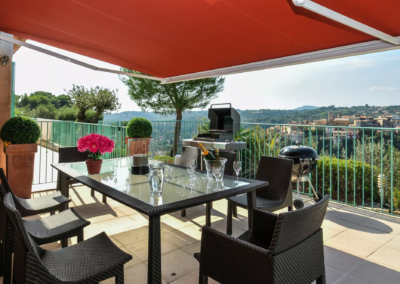 The village of Biot is renowned for its glassblowing industry and there are many traditional workshops where you can watch the glassblowers at work. 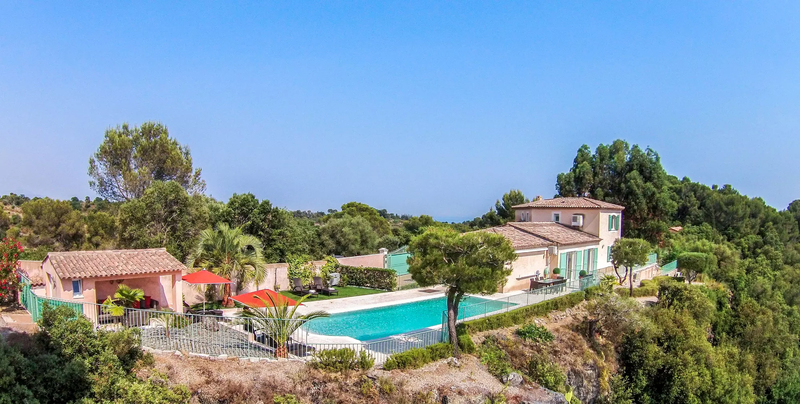 Old Antibes is a traditional Mediterranean sea port, encircled by ramparts, with a weekly, Thursday Provençal market, and beautiful luxury yachts. 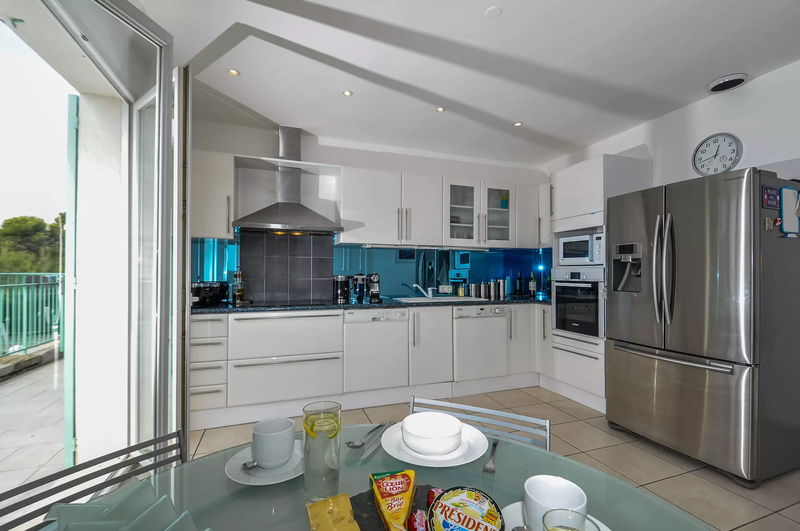 Within its narrow, pedestrianised streets are a variety of restaurants, pavement cafes and shops. Within easy reach are Nice and Monaco on the coast, whilst inland lie Vence and the jewel in the crown St. Paul de Vence. The region has always been popular with artists such as Picasso and Matisse and today there are many museums paying homage to their work. 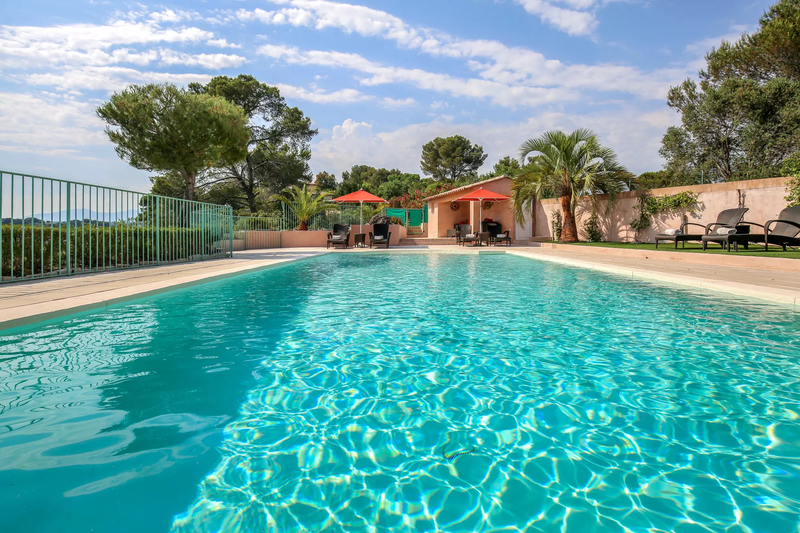 Children may enjoy the butterfly museum, children’ s farm, aquasplash, marineland or Luna Park on the coast near Antibes. 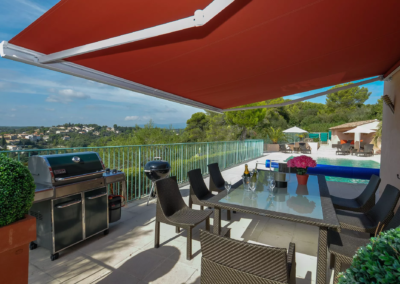 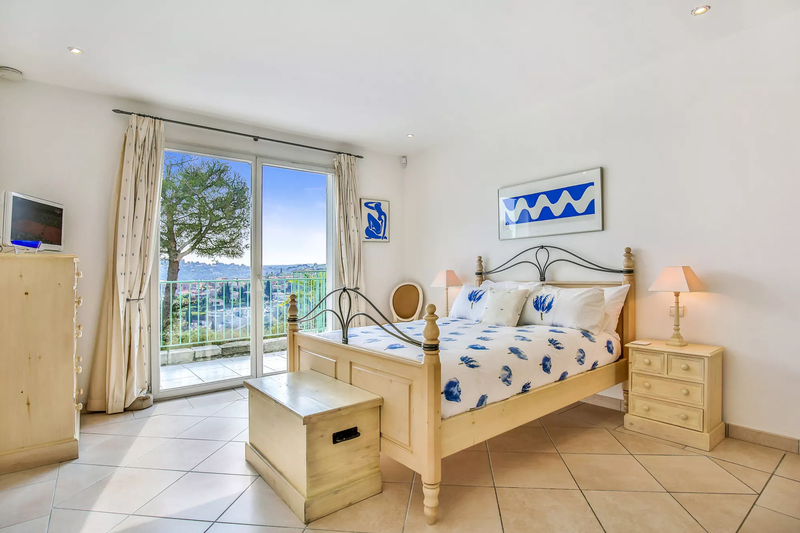 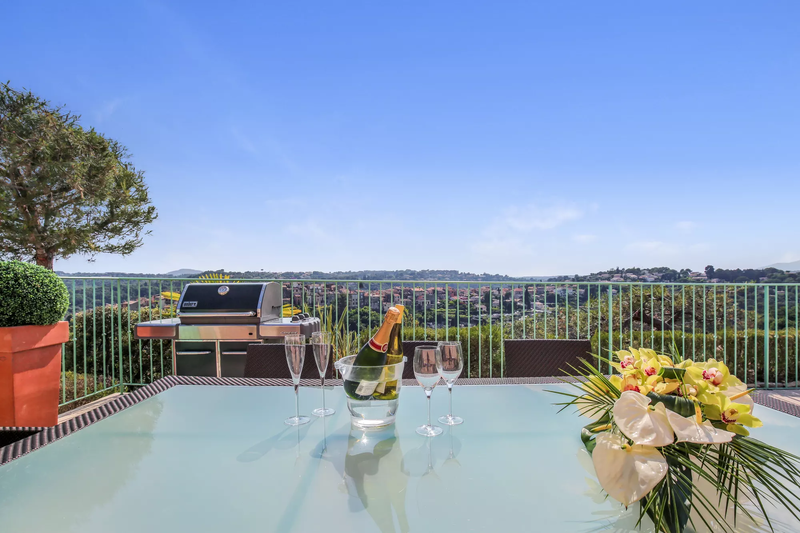 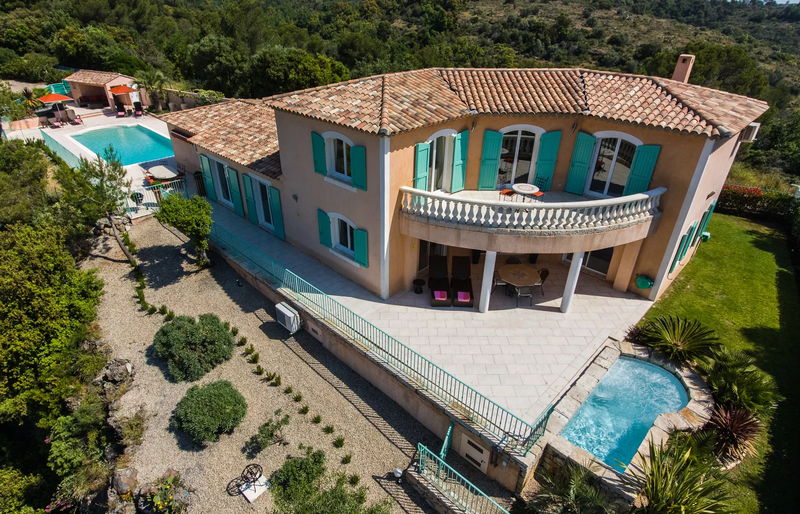 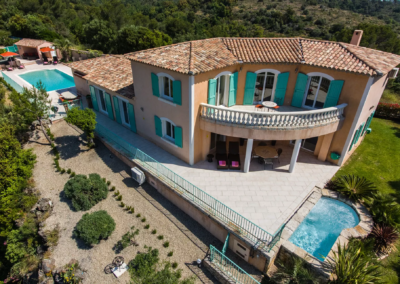 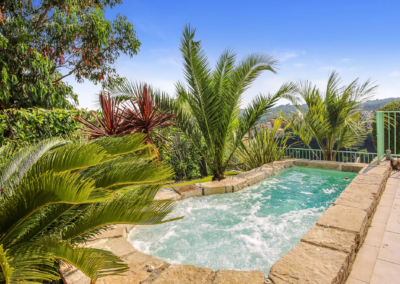 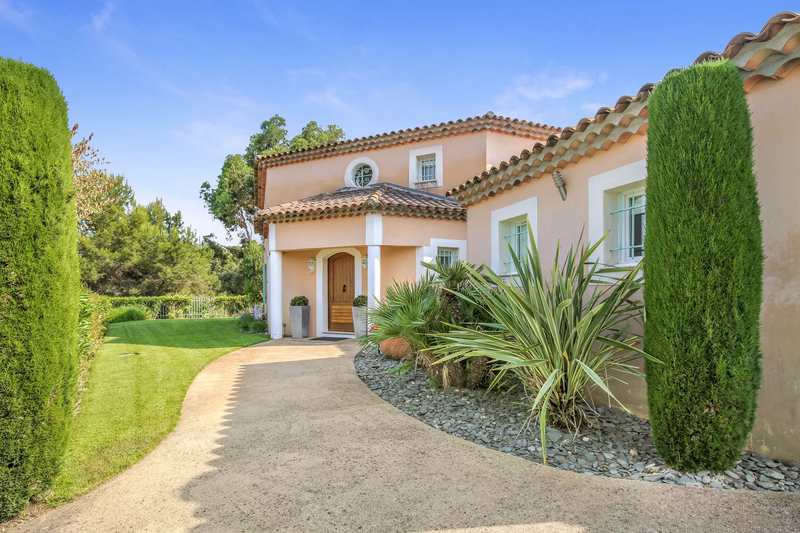 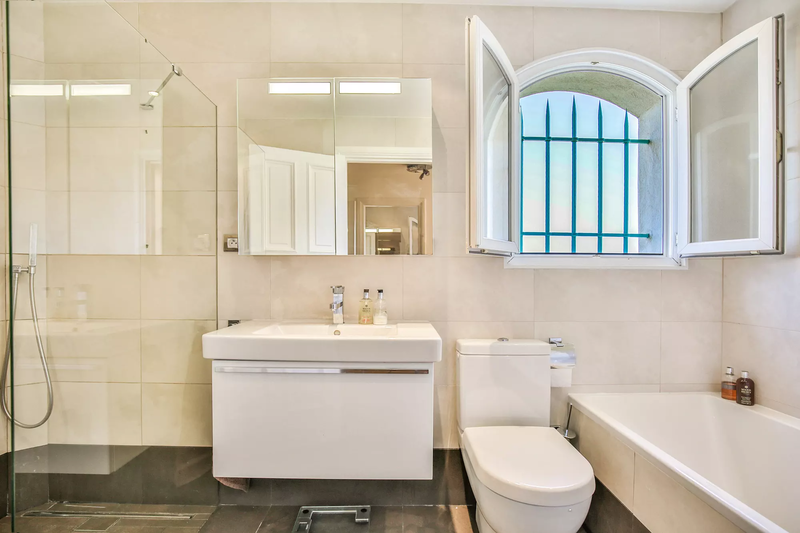 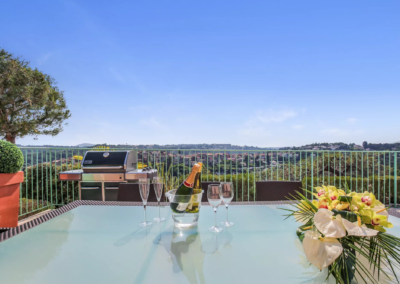 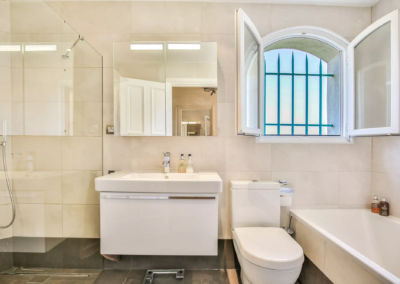 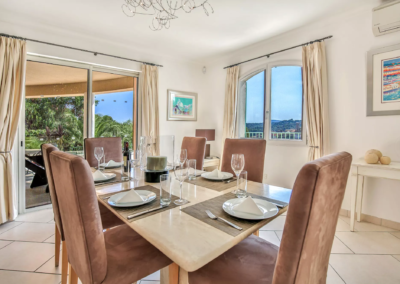 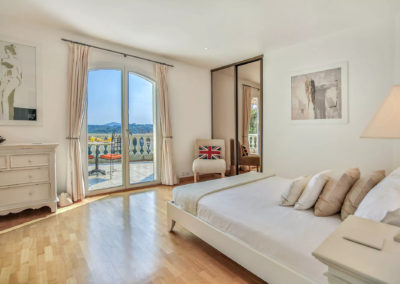 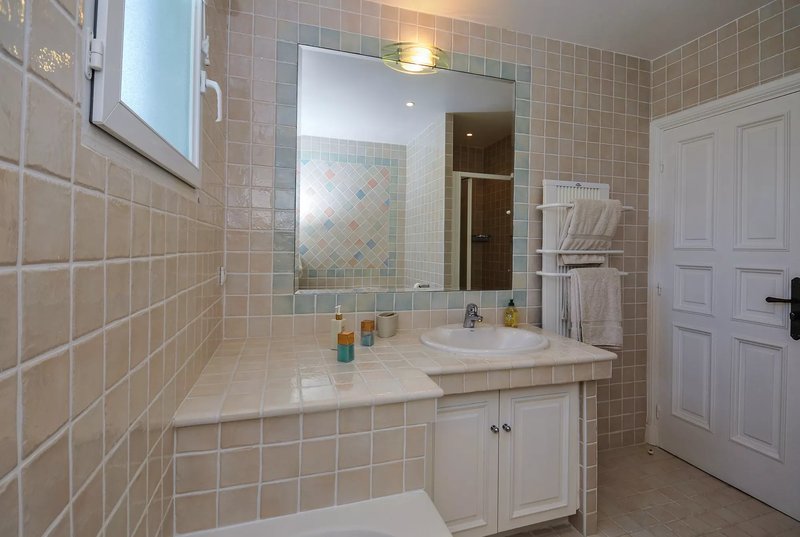 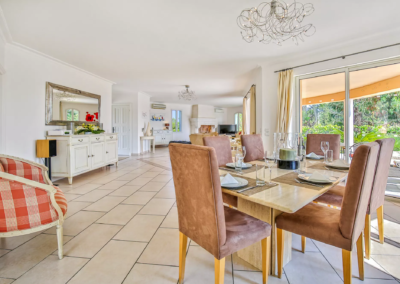 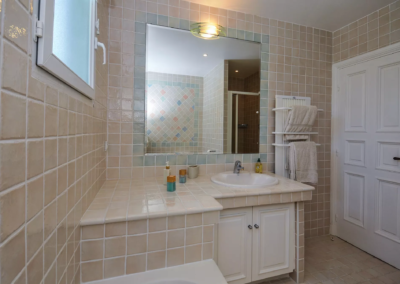 This luxury self catering villa France is fully air-conditioned with a large heated pool and is well positioned for exploring the Cote d’Azur and the Riviera coast. 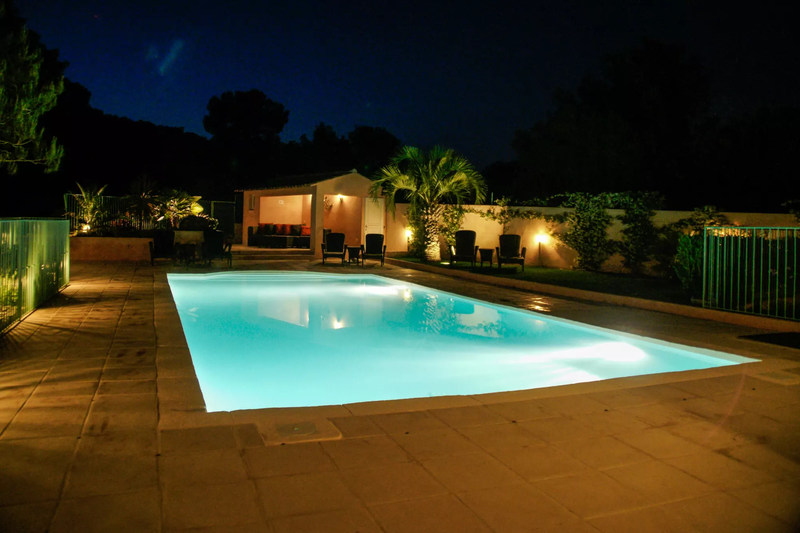 No smoking in this villa. 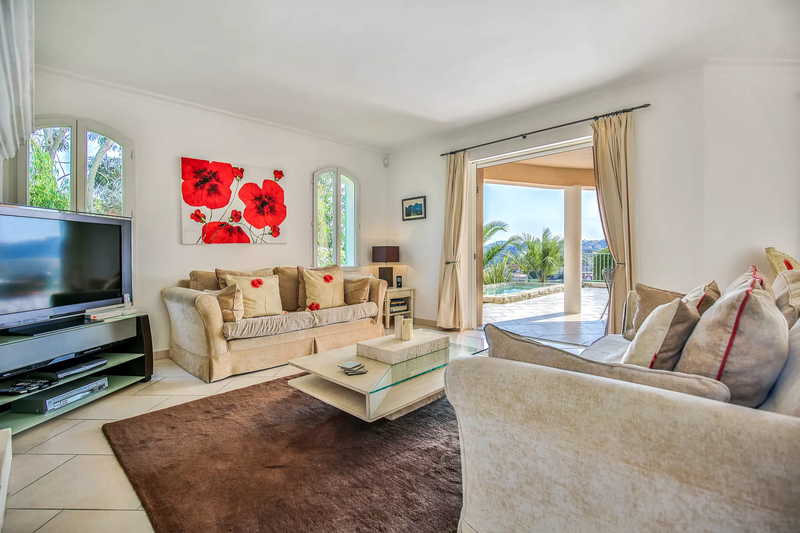 Openplan living/dining room , (TV, Video, DVD, CD), French doors to sun terrace and Jacuzzi with views of Biot village and the sea. 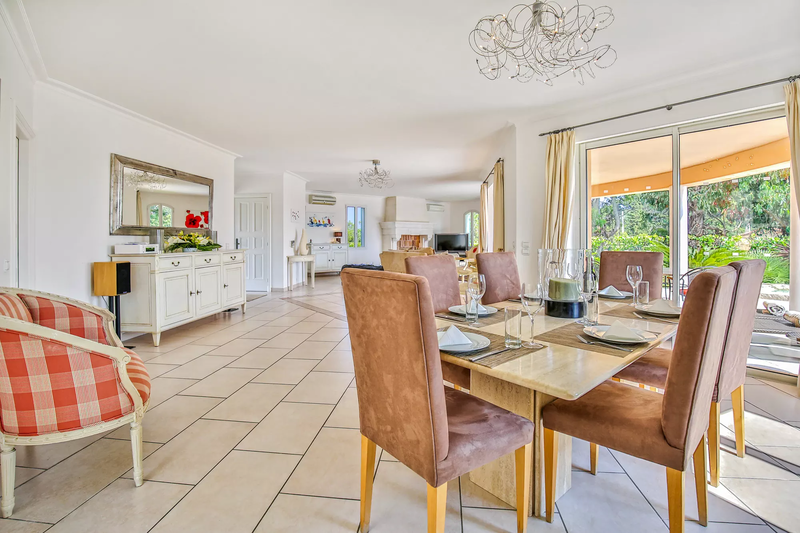 Well equipped kitchen/breakfast room , French door to garden and pool. 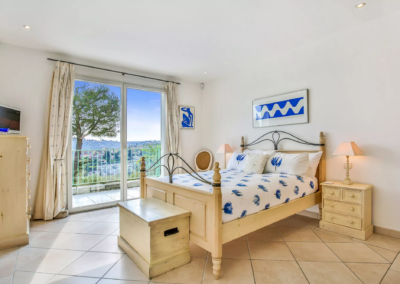 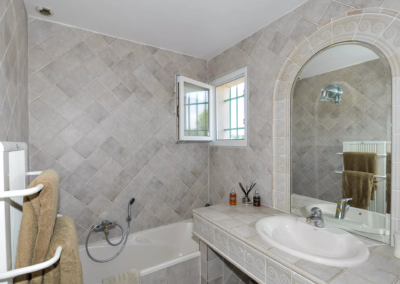 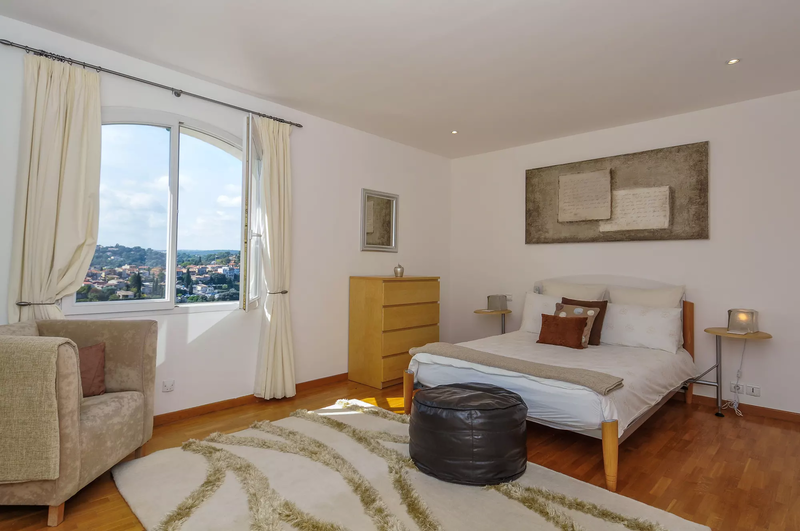 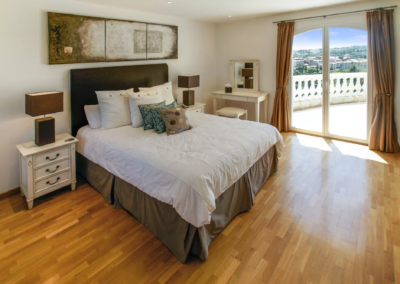 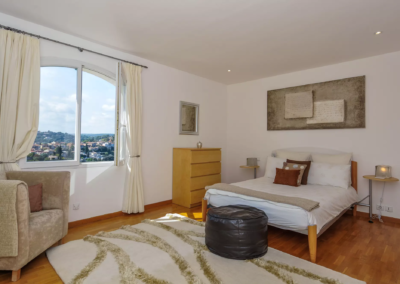 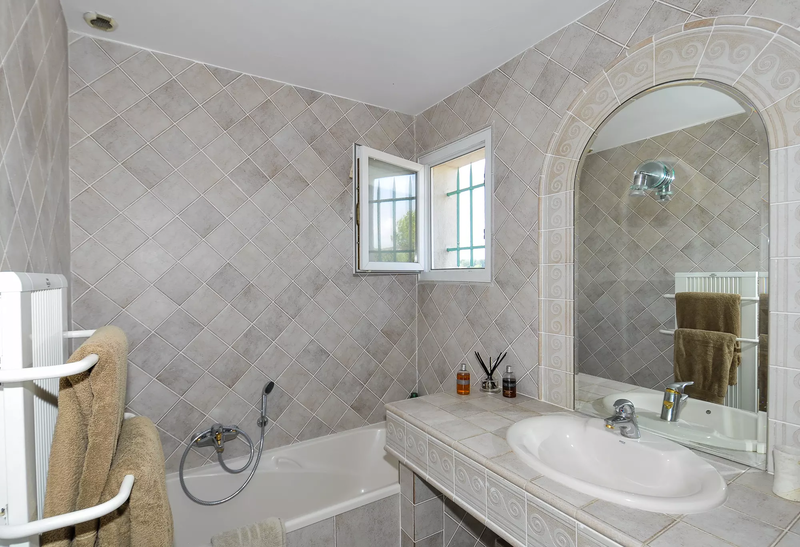 Master double bedroom (1.60m), (TV), French door to terrace with village and sea views, ensuite bathroom, separate shower, WC. 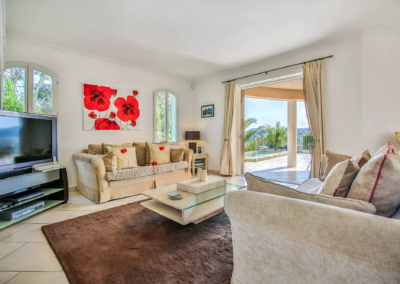 The open terrace area and the bright and modern interior design.